Should You Contact An Attorney For A Wrongful Termination Lawsuit? One legal theory that is often misunderstood is that of wrongful firing. Many believe that if employment has been terminated without a good motive, there is reason to use legal action and hire a wrongful termination attorney. 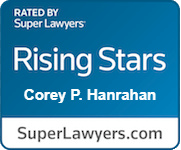 At The Hanrahan Firm in San Diego, we understand that this is not usually a good enough rationale to use a lawyer. In the state of California, an employer can actually be unreasonable, incompetent and unfair when it comes to the discharge of an employee. This is because California is an “at-will” employment state, which means that an employer can dismiss an employee without having to establish just cause and without warning. However, when this decision is based on a category or situation that is protected by law, the employee can be considered as wrongfully fired—this is where we come in. We fight for employees who have been terminated from their employment in violation of California law. Even though CA is an “at-will” employment state, employees are protected from being terminated for an illegal motive. We work to prove that employers’ stated reasons for termination are false, and prove unlawful motivation by employers where applicable. An employment discrimination lawyer can help you with any questions you may have about workplace issues and let you know if you have a case to pursue. Q. What is a wrongful termination? A. California has numerous laws in place that protect employees from being wrongfully terminated. There are numerous types of wrongful termination cases, each that require an analysis by a qualified employment law attorney. There are wrongful termination claims for terminations that are expressly prohibited by statute (i.e. terminating an employee for blowing the whistle on the employer’s legal violations). There are also wrongful termination claims for being terminated in violation of public policy, although the termination itself is not unlawful pursuant to a statute. Q. What kind of terminations are considered wrongful? A. There are many factors and elements involved in analyzing a wrongful termination claim. The most common wrongful termination cases arise under the Fair Employment and Housing Act and are based on employees being terminated because of a protected characteristic (i.e. race, gender, sexual orientation, etc. ), or in retaliation for complaining of unlawful harassment or discrimination. There are also wrongful termination claims that arise when an employee is terminated in violation of public policy. Q. How does ‘at-will employment’ affect wrongful termination cases? A. At-will employment can make it difficult to prove a wrongful termination case. Employers almost always hide their true reasons for terminating an employee with false reasons that are not illegal. To prevail on a wrongful termination claim, an employee must prove that the employer’s stated legal reason for termination is pretextual, or untrue. This ability to prove pretext is generally the key to prevailing on a wrongful termination claim. Q. Should I hire a wrongful termination attorney if I feel I’ve been fired for illegal reasons? A. Yes, or at the very least consult with one. A lawyer who handles wrongful termination cases can conduct the necessary analysis to determine if you have a potential wrongful termination claim. Since there are numerous factors and criteria that must be proven in order to prevail on a wrongful termination case, it is important that you consult with a lawyer is familiar with wrongful termination claims. Q. How soon after I’ve been fired should I consult or hire an attorney? A. As soon as possible. California has varying statutes of limitation that apply to wrongful termination claims, sometimes shorter than six months. Waiting too long to consult an attorney could result in a complete bar to you seeking recourse for your wrongful termination and could keep you from getting the compensation you deserve. Q. Can my supervisor fire me if he simply does not like me? A. This depends on the basis for your employer disliking you. In order for you to have a wrongful termination case against your employer for this reason, you would have to prove that the motive for disliking you was due to a protected characteristic, or protected activity. For example, you may have a valid claim if you have proof that your employer did not like you because of your race, sexual orientation or gender. Furthermore, if your employer did not like you because you had recently complained about unlawful wage and hour practices, or harassment (i.e. sexual harassment), you may also have a claim. However, if you and your supervisor simply “butted heads” and did not get along due to personality conflicts, that would not provide a basis for a wrongful termination claim. Q. If my employer fired me because I reported that they did something illegal, do I have a case for wrongful termination? A. In most cases, yes. It is illegal for your employer to fire you for reporting an illegal activity, whether that report was internal (to the employer itself) or external (to a government agency). The activity of reporting illegal conduct by your employer is called “whistle blowing.” It is illegal for your employer to fire you for being a whistleblower. Q. What is constructive discharge? A. A constructive discharge, or constructive termination, results when the employer creates a hostile work environment, which creates sufficiently intolerable working conditions that forces an employee to resign. Constructive discharge laws apply an objective standard when analyzing the working conditions, which requires an employee to prove that a reasonable person in that employee’s same position would have considered the work environment to be intolerable and would have had no choice but to resign.